Log Cabin Candies has been a family owned and operated business for 99 years, specializing in old fashioned candies, fudges, and brittles. The location in Fallston, Maryland includes the manufacturing facility as well as a retail store. You can contact Log Cabin Candies for your corporate gift needs, fundraising opportunities, or private events. Plus, they have great holiday offerings! Easter candy is now available. 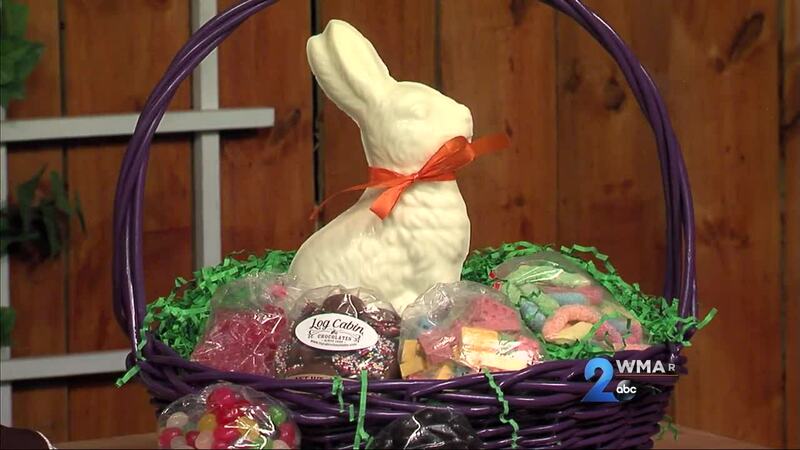 Head to Log Cabin Candies for all the traditional basket favorites, from bunnies and eggs to jelly beans and their signature pecan nougat roll.